Healthy, straight teeth can have positive effects on your confidence and self-esteem. Our Langley practice performs a variety of cosmetic treatments custom-designed to improve the function of your bite and the aesthetics of your smile. Don’t let cosmetic drawbacks like discolouration, misshapen, or missing teeth discourage you from looking your best. Call to schedule a personal consultation today. Dr. Masoud Saidi and our skilled team can determine what cosmetic enhancements work well for you. Consultations are an opportunity to go over the areas of your smile that you would like to improve. The dentist speaks with you one-on-one to fully understand your goals and establish reasonable expectations. During the initial visit, your dental professional conducts a complete oral assessment and develops a strategy to provide you with the best treatment available. Digital X-rays are taken at this step to confirm that oral health is suitable for certain cosmetic procedures. White Fillings - Build up and seal a damaged or decayed tooth with tooth-colored resin applied in just one visit. 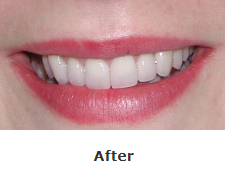 Veneers - Mask misshapen and discolored teeth with a thin, strong porcelain shell customized to fit your smile. Invisalign - Treat misalignment to improve the aesthetics and function of the smile. 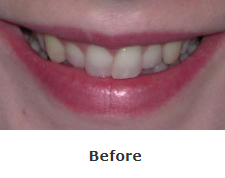 Teeth whitening - Whiten teeth by several shades in a single visit using state-of-the-art technology. Some available treatments will be used in combination with other forms of cosmetic enhancements to achieve the desired appearance. We know that each patient requires different methods of treatment to achieve their ideal smile. It can be ineffective to cover a fracture or other tooth issues without addressing underlying concerns like infection or decay. Our office of experts takes zero shortcuts and prioritizes restorative procedures to maintain both beautiful and healthy teeth. Our goal is to help patients achieve their best smile. Call our office 604-539-9374 and schedule an appointment with Dr. Saidi or Dr. Jin and our skilled team of dental professionals at Saidi Dental Group for all your cosmetic dentistry needs. We proudly serve those living or working in Langley and the surrounding communities. Check out some of our Before and After photos here.